HUMBLE, TX USA – EGC Critical Components has selected VICTREX® PEEK for a self-actuated abeyance seal system in one of the most performance-critical industries, nuclear energy generation. The material selection and design of this application was created for a first-to-market OEM supplier requiring an abeyance seal to manage potential reactor coolant leaks during an emergency shutdown. The newly designed seal is self-actuated without the need of springs or pistons. Tests have shown this abeyance sealing system alone has added an additional 96 hours of continuous use under the most rigorous operating environments meeting the higher demands of the Nuclear Regulatory Commission (NRC). 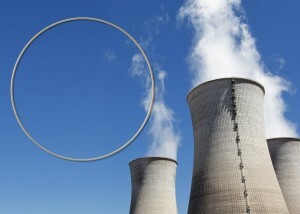 A nuclear reactor’s primary cooling pump (PCP) relies on the multi-stage abeyance sealing system, including actuation and back-up rings, to limit the leakage of the reactor coolant fluid along the pump shaft. These components are critical to the pressure boundary system. Reactor cooling systems are tested heavily and are expected to withstand continuous service of more than 15 years. Testing of the EGC patented sealing system included two hours in 400°F (204°C) water with a sealing pressure of 750 psi (51.7 bar). Once completed, the temperature and pressure were increased to 560°F (292°C) and 1250 psi (86.2 bar), respectively. The test results concluded that even under extreme conditions and loss of seal cooling, the VICTREX PEEK ring within the abeyance seal system was intact with no appreciable loss of reactor coolant.